What if your life could be free of mistakes? What if, every time you were about to make a foolishly angry comment an extra moment of reflection appeared, as if out of the ether, to reconsider? Welcome to the world of the LifeWatcher 2020. The tale I’m about to tell you takes place six years down the line. It’ll be broken in several parts, each showcasing the LifeWatcher 2020 in a new and exciting way. We’ll follow two men, Paul Goode and James O’Hearn, and their parallel but diverging stories. The world is much like our own. Yes, things change. But people are still largely concerned with the same things they are today: staying healthy, getting a good job, finding their soul mate, and living a life they can be proud of – perhaps a life fully realized. Of course, few realize what their life should be. Let’s take a look at our specimens. Paul was a successful business owner. He didn’t start the business, but rather inherited it from his father, who had inherited it from his mother, Debbie Goode. The business grew organically, with Grandma Debbie selling home baked cookies and cakes for her friends when Grandpa Joe lost his job. After a while, the quality of Debbie Goode’s goodies branded her without her knowledge. Thus Debbie’s Goodie Cakes was born. Her home bakery grew into a chain of small stores, all touting the quality of their ingredients, careful hand-measuring of every ingredient and diligent monitoring of the baking process to ensure no cake or cookie was ever overcooked. Paul’s father took the business and expanded into prepackaged goods. For more than thirty years, Midwesterners have know and loved the Debbie’s Goodie Cakes stocked in their grocery store checkout lines. While his father started the prepackaged side of the business, Paul planned to bring it into the digital age, with a larger spread of customers, grocery stores and restaurants stocking Debbie’s Goodie Cakes. Paul had an air of destiny about him from the time he was young. He believed he was meant for great things. He was one of the earliest adopters of the LifeWatcher 2020, and a perfect example of the kind of disciplined individuals who benefited from the very latest in life enhancing technology. James, on the other hand, came from a rather meager background. A native of the south side of Chicago, he didn’t have the same advantages as Paul. But he made good. He took advantage of the opportunities he had, and found himself a twenty-two year old college grad with a small fortune in student loans and no job. But within a few months of graduating he’d landed an entry level position at the corporate headquarters of Debbie’s Goodie Cakes. As was the case his whole life, James had to start at the bottom and look for the path onwards and upwards. With little money and his focus on making his way, James does not see the value of the LifeWatcher 2020. He wondered if he was not the kind of man who could succeed in the modern age. He was no stranger to technology, as he was in fact working on building new online platforms for companies just like Debbie’s Goodie Cakes, but wearable tech and life tracking didn’t appeal to him. He worried he was blind to this particular advancement’s benefits. But what is the LifeWatcher 2020? A good question. The LifeWatcher 2020 is not only an all-encompassing life tracking solution, but a revolution. The 2020 edition takes everything that LifeWatcher fans loved about previous models to the next level. Standard fitness tracking features are all included. Heart rate and blood pressure monitors, a pedometer and GPS for tracking steps, speed and distance traveled are only the beginning. Best-in-class fitness software analyzes the raw data instantaneously to determine what activity is being performed and the benefit to the user. But the health benefits don’t end with fitness optimization. The 2020 has a number of new features designed to help health-conscious folks keep ahead of potential problems. Two thermometers, one tracking the wearer’s body temperature and the other tracking the surrounding air, aid in early detection of disease. Supporting this is the new lung pressure monitor, which measures breathing rates both at rest and when active. If phlegm or mucous builds up in the lungs, the LifeWatcher 2020 will know before the user first coughs. Advanced warning about flu symptoms, contagion advice from medical professionals, and advice about lessening the duration and severity of common diseases come together in the LifeWatcher 2020 to help reduce the spread of disease. Occurrences of the common cold and flu have dropped up to 30% in the cities with the most LifeWatcher 2020 users. The LifeWatcher 2020 and those smart enough to equip themselves with one have become a life savers across the nation. Worn at night as well as day, the LifeWatcher provides sleep feedback to prevent under sleeping, which leads to poorer performance at work, the gym, and in relationships. The LifeWatcher 2020 does not stop at tracking fitness. It tracks life. And the solutions for longer term health issues are included standard as well. The included blood sugar monitor, which takes very small samples of sweat to determine blood sugar levels, has helped diabetics manage their insulin levels easily, and without the painful sting of a needle. The body fat scale helps those struggling with weight loss properly manage their diets to see results faster. While health concerns were the genesis of the LifeWatcher 2020 years ago, the scope of what this revolutionary device provides goes far beyond physical health. This is where the LifeWatcher 2020 leaps beyond labels and becomes a whole-life revolution system. See, it’s the software that truly separates the 2020 edition. Engineers took a look at everything being tracked, and recognized a new opportunity. The LifeWatcher 2020 taps into every aspect of a user’s life for a full view of their habits and actions. When paired with a smartphone, the LifeWatcher 2020 measures stress levels throughout the day, using both the included blood pressure and heart rate monitors, along with sensors and microphones that keep an eye on speech and voice patterns. LifeWatcher research has shown every person has a unique level of stress that cause emotional outbursts. While these moments cannot be predicted from day one, within just a few weeks it will provide warnings about the user’s state of mind. The LifeWatcher 2020 watches for these moments 24 hours a day, 7 days a week. A discreet vibration warns the user to take a breath. The LED screen follows the buzz with a ten second countdown. Did your mother ever tell you to count to ten when angry? Consider the LifeWatcher 2020 a third parent. One who is always present and able to help you make better choices. Life has been improved. There’s no reason for frustrating and avoidable mistakes. Not with the LifeWatcher 2020. Or so the marketing says. I invite you to take a look at how it works in action. He put his phone away and checked his schedule for the day. He usually got to the office before his employees, so he was surprised to see a second car in the lot as he parked. He couldn’t see who was in the car – it was farther from the door than his executive parking spot – but he could see someone was waiting. His agenda for the day was mostly catchup. Other than one meeting, his morning was clear to deal with emails and whatever issues had sprung up over the weekend. The one meeting was an introduction to his newest employee, James O’Hearn. Paul opened his door at nine o’clock to greet James. They shook hands as Paul gave his new worker a once over. James was dressed well, with a clean, pressed shirt that was a bit too big tucked into unfashionable khaki pants. His shoes were brown and cheap. His appearance gave no impression of money or taste, but he looked professional. Paul welcomed him and they chatted. “I will. That’s a cool idea,” James said. “I mean, it’s cool to see a company like Debbie’s Goodies still interested in improving things on every level. “I will, sir,” James said as he rose. Paul led him out and wished him luck on his first day. When he sat back down at his desk, he checked his LifeWatcher 2020. His heart rate was just a bit higher than when he was at rest, but it showed he was relaxed. He smiled. The following weeks were, for both men, dominated by working and training. James decided to show his commitment by running the race. He’d run a few 5Ks in college, but nothing longer than that. He wasn’t sure how to train for a half marathon. He decided jumping in the deep end was best, so he got up every morning and ran laps at a local park, timing himself with an old stopwatch he’d had since he was a kid. It didn’t have any bells and whistles, but it kept accurate time.. Every day he ran a little farther and pushed himself harder during the last leg of his runs. He always breathed heavy and needed to sit down for a few minutes before taking a shower. He didn’t attempt any special training programs, but he paid close attention to how he felt toward the end of every run. If he felt he had an extra lap left in his legs, he pushed through his exhaustion and made it around the track another time. His progress was inconsistent, but during a few runs, when his legs started to feel like rubber and his lungs burned, he’d find a new reserve of strength. He was always surprised to find he had more to give. His leg strength and lung efficiency improved slowly, but his grit improved drastically within just a few short weeks. Paul was different. He was all about the LifeWatcher 2020 and maximizing the use he got out of it. But his approach suffered from arrogance. He found the best reviewed training program and applied the information he got from the LifeWatcher 2020 to it. There’s an optimal heart rate for distance running, and he always kept his heart rate at that level. At first, it felt slow and too easy, but his confidence in the technology satisfied him. He knew he was pushing himself hard enough. 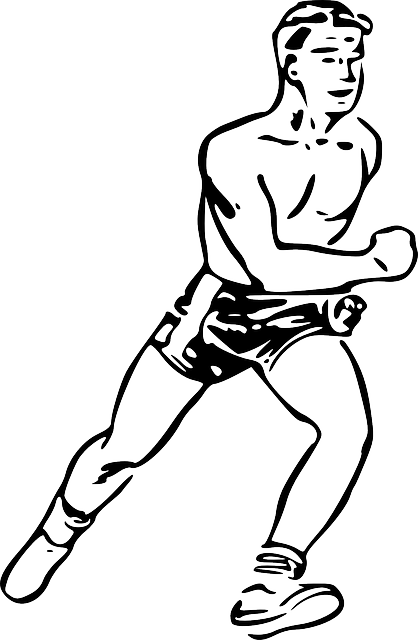 He ran at a steady pace, never straying more than half a MPH from his target. His progress was steady. Every week he ran faster. His long run every Sunday took a toll on his legs and left him a bit sore Monday, but short controlled runs and wind sprints throughout the week kept him strong and healthy. At the outset, Paul could run a 5K in about twenty-seven minutes. By the time the half marathon came around he could keep that pace for 10K. He told everyone his goal was not to win the race, but to set a personal record. But that was a lie. He wanted to outrun his company. He’d inherited his company, but he knew he was meant to be in charge. He knew he was capable of more than common people. He was a Goode, and Goodes could do more. James had a much slower 5K time at the outset of training. He clocked himself thirty-six minutes on day one, and felt horrible for the rest of the day. But he improved. His goal was to run the entire half marathon without needing to stop and walk. By race day, he knew he could plumb deeper reserves of strength than when he started. Aching muscles, knots in his side, and heavy breathing were not the end. He could push harder, run faster, and last those last few miles regardless of how much it hurt. Race day came three months into James’ employment. He lined up with a group of about fifty other employees and their friends and families. Paul stood at the head of the group, applauding those who decided to run or walk for charity. His applause was enthusiastic until his LifeWatcher 2020 told him the clapping and cheering were raising his heart rate, which he needed calm and steady to perform his best. James stood toward the back, stretching and smiling at his new girlfriend Ashley. She’d joined him on many of his runs and was happy to see him finally getting to race. She carried water and snacks for after the race. She always had a bottle of water for him to steal a sip out of, and he was starting to love her for her quirks. She stood near Paul’s latest lady, Patricia, who stared at her phone and looked annoyed with having to wait. The bell rang and Paul took off at a strong pace. A few others raced ahead of him, but faded and fell behind after a few miles. Paul’s initial speed was a little higher than he intended, which his LifeWatcher 2020 told him, so he slowed and kept to the exact speed he’d planned. Every mile he picked up his pace by one tenth of a mile per hour. He wanted everyone to see how he got stronger farther along the path. When everyone else faded, he got stronger. James struggled to find his rhythm the first two miles. A knot formed in his side. His eyes burned from sweat. The day was hotter than he’d anticipated, and he worried he would dehydrate more than usual, preventing him from running the last leg of the race. Only two miles into the race he had to dig into his first reserve of strength. The stress eased. The cramps and rubbery feeling in his legs subsided. His pace improved. His breathing resumed a more natural rate. The last mile of the half marathon proved very interesting. James made great time once he found his rhythm, catching up with Paul and nearly overtaking him. Paul kept true to his pace. The last leg showed the two neck and neck. James dug deeper and deeper, but faded just as the finish line was in view. Paul came in first, setting the personal record he’d publicly targeted, and the private goal of outrunning his staff. James ran the whole race. At times faster, at times slower, but always running. At the finish line Paul stood by Patricia and breathed deeply but calmly. He was tired, but not spent. James sat down while Ashley poured water over his neck. His time was a little slower than Paul’s, but his improvement was greater, and he’d proven more to himself at the end of the race. The LifeWatcher 2020 helped Paul train at optimal levels for the fitness level at which he believed he started. But he was wrong. He’d been capable of more from the outset, but never pushed himself hard enough. He never dug deep and pushed through pain to see what he was really made of. Compounded with this, his mindset of doing things smarter and not harder was more deeply ingrained than before. He wholly trusted the ability of his LifeWatcher 2020 to help him make the most of his life. James felt an initial disappointment as he sat by the finish line. He was proud to have run the whole half marathon, but he thought there was a deeper reserve he’d yet to tap into. He had further to go. This entry was posted in Fiction and tagged LifeWatcher. Bookmark the permalink.